For Sale: This is a Colt Pony Series 90 .380 automatic. It is in mint condition and comes with 2 magazines, original manual and paperwork. 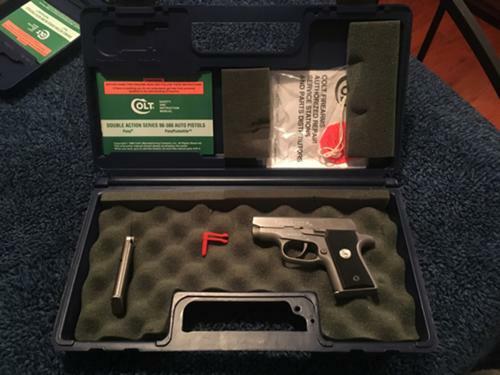 The box stil has the priginal sticker detailing the gun and serial number. Buyer pays transfer, I’m willing to meet in and around Pittsburgh, Washigton County or nearby surrounding areas to do the background check and transfer at an FFL of ypur choosing. I have an FFL if you need a recommendation. Thank you for looking, additional photos available.